Amelia Piscitelli made her professional debut with Camerata Chicago in our October 2016 Sweetest Day Series and went on to perform the Vivaldi Four Seasons in October 2017. We are now recording the Four Seasons this summer for a new educational CD primarily for children which will include a performance of the complete work, the poetry Vivaldi wrote and numerous demonstrations of the sound effects he uses. As part of the recording project, we have two concerts to support the project on July 13 in Griffith and July 14 in Wayne. Amelia has been smiling to classical music since infancy and formally began playing violin at the age of four. From 2009-2014, she studied violin with Debbie Edwards, then in late Summer 2014, she began studying with Drostan Hall, her current teacher. Having recently turned 17, she has just completed her junior year at Hammond Baptist High School, and greatly enjoys playing violin, teaching violin, and playing specials with her violin students at church. She relishes the chamber music opportunities afforded her at Sforzando String Camp for the last 7 summers and has been privileged to be a member of the Camerata Chicago Academy Orchestra since 2015. 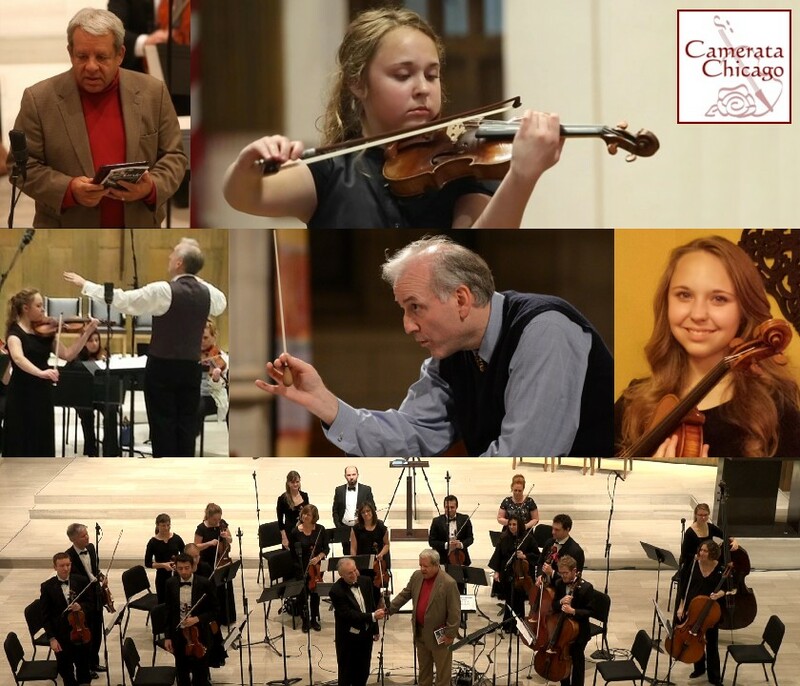 Enjoy a fabulous performance of Vivaldi’s Four Seasons by sixteen year old violin prodigy Amelia Piscitelli with poetry read by Steve Robinson of WFMT fame. Amelia was featured on the 98.7WFMT Introductions radio show and had her debut with Camerata Chicago in Fall 2016. This concert is in support of Camerata Chicago’s Vivaldi Four Seasons Educational Recording Project and Griffith Lutheran Church. Including the poetry written by Vivaldi himself, the recording is for a CD designed especially for children to learn this classic and be inspired in the riches of classical music. Joyce Saxon is the Principal Project Sponsor.